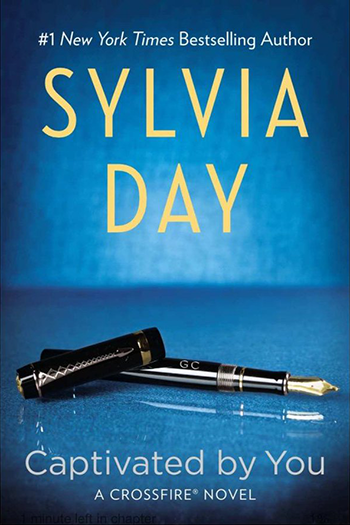 For the past several years, Sylvia’s novels took spots among the top bestselling books on global year-end sales round ups, making her one of the most widely read authors in the world today. Sylvia served as the 22nd President of Romance Writers of America and presently serves on the Authors Guild’s Board of Directors. Hailed as “one of the most successful romance writers in the world” by Fox News, Sylvia’s work has been covered in Time, Variety, People, the Wall Street Journal, Cosmopolitan, the Associated Press, USA Today, and Entertainment Weekly – to name just a few. She has been the subject of trivia questions on the television game shows Who Wants to Be a Millionaire? 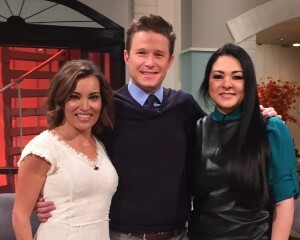 and Jeopardy!, as well as a Kit Hoover recommended read on Access Hollywood Live. Sylvia’s Jax & Gia series was developed into a motion picture by Passionflix and released in November 2017. The documentary following her 2016 world tour, Beyond Words: Sylvia Day, released in October 2018. In addition to her novels, Sylvia has written numerous novellas and short stories for both print and digital-first release. Her work has been called an “exhilarating adventure” by Publishers Weekly and “wickedly entertaining” by Booklist. She’s been honored with the RT Book Reviews Reviewers’ Choice award, the National Readers’ Choice Award, and multiple nominations for Romance Writers of America’s prestigious RITA® Award of Excellence. Sylvia has been nominated for the Goodreads Choice Award for Best Author and her work has been honored as Amazon’s Best of the Year. Sylvia travels extensively in conjunction with various speaking engagements. She is a frequent workshop presenter and panelist at events such as the RT Book Lovers Convention, Romance Writers of America’s National Convention, and Comic-Con, and a popular keynote speaker for writing programs presented by local chapters, national and international organizations, and colleges across the United States. Her book tours and travel engagements have taken her around the globe. Born in Los Angeles, she grew up in Orange County (the O.C. ), and later lived in Monterey and Oceanside. Sylvia now resides in Las Vegas, Nevada, but occasionally works from her pied-à-terre on the Upper West Side of Manhattan in New York. She considers the two vibrant, energetic, and never-dark cities perfect for a writer whose working hours are as unpredictable as her characters. Sylvia’s work and life are the inspirations for Beyond Words, the digital lifestyle magazine and store. Meet sylvia at an event near you! Check dates and locations on her appearance calendar. In her Own Words: Online interviews and articles which can be found on her Media Kit. See more pics of Sylvia! Visit her Facebook Photos Page. For content updates and recent news: Sylviaday.com Updates & News. S.J. 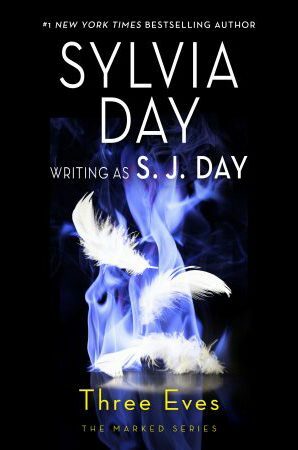 Day is the pseudonym for Sylvia’s non-romance genre works–the books Sylvia writes that don’t always have a Happily Ever After (HEA) romantic resolution at the end. Livia Dare is a pseudonym that was created at the request of the publisher to be used on Sylvia’s fantasy/futuristic books. This pen name is used exclusively for In the Flesh.